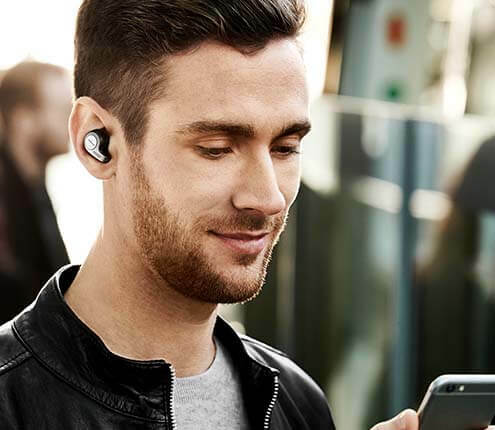 Talk 55 gets the most out of your media, letting your wirelessly stream GPS directions, music and podcasts from your mobile phone. Your Digital Assistant is just one tap away. Imagine being connected to email, texts, phone calls and music without ever having to touch your phone. Stay connected to Siri® and Google Assistant™, even when your phone is in your pocket or bag. There is nothing in the rules that says you can’t live for success and be stylish while doing so. 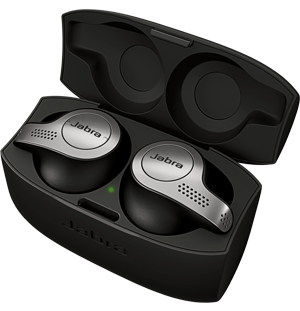 Jabra Eclipse is our lightest ever headphone at just 5.5g. A powerhouse of technology, wrapped inside an elegant and sleek body, giving you ultimate comfort.